Worldwide oil consumption stands today at almost 20 billion liters. Even in the best-case scenario, 20% of used oil is released into nature, polluting the equivalent of 8 times the surface of the earth. The time has come to raise awareness of this problem, which has been ignored for to long, and to stop such useless waste. As part of the COP21 conference, XFP is proud to present a concrete solution that can be rolled out immediately: the nitiFilter®. This revolutionary product allows the driver to consume 10 times less motor oil, and to thereby reduce CO2 emissions by a factor of 10, i.e. by 90%. 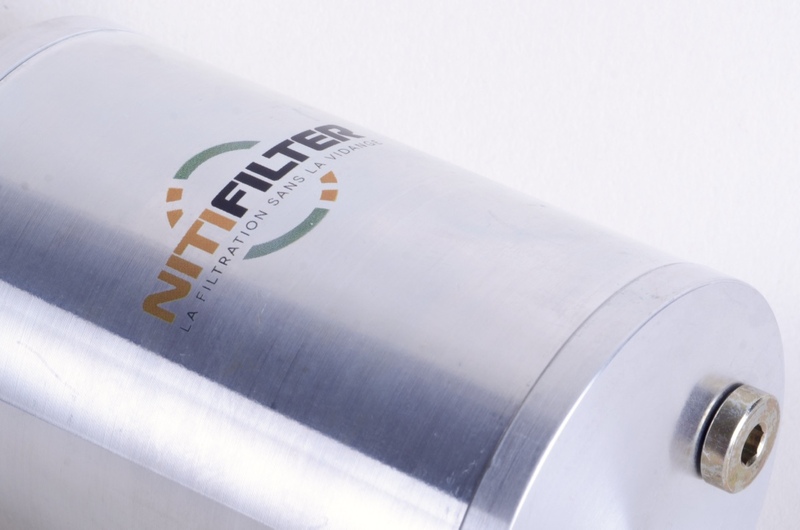 The nitiFilter® is unique: it is the only self-cleaning lifetime oil filter that eliminates the need for oil changes. How? The filter is made with a stainless steel cloth filtration medium that ensures optimum filtration, guaranteeing that motor oil maintains all of its lubricating qualities. Rather than depending on the pipe dream of entirely electric cars, individuals can act now to concretely address the problem of excessive pollution. This is because even a daily activity like driving a car can help to save the environment both for us and for our children. We believe in sustainable innovation rather than in solutions handed down by powerful lobby groups that are not suitable for current problems. The solution already exists. It is simple and accessible. It’s there waiting for you. Xtreme Filtration Performance is a company that specializes in optimizing automotive filtration. The company depends on its patented technology inspired by the marine sector, technology that has proven itself for more than 40 years. With its products that unite performance, reliability, and sustainable development, XFP has already convinced more than 50 clients such as Véolia Propreté, Paris’ Bateau Mouche tourist boats, the city of Rouen, the Army, as well as many clients in Senegal.